DHCP stands for the dynamic host configuration protocol. As we know that a unique IP address is a must for communication in LAN, WAN or internet. Assume you are given the task to assign IP addresses to the 10,000 computers in a network. How would you assign? 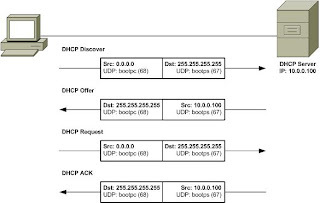 DHCP answers this questions and it assigns the unique IP addresses to all the computers from a given range. There is an administrative control and you can block, assign, lease, renew, specify duration for the IP address and you also do the many other administrative tasks on the DHCP.